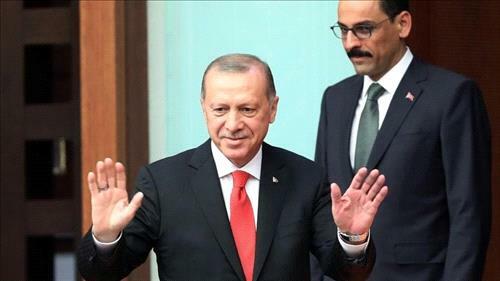 AMMONNEWS - Turkey’s president criticized the US on Tuesday over delays in establishing a buffer zone in Syria, saying that if Washington won’t contribute to the effort, Ankara will do it alone. Recep Tayyip Erdogan and President Donald Trump last month discussed setting up a safe zone east of the Euphrates River in Syria. Turkey has demanded Syrian Kurdish militia withdraw from there and Erdogan has been seeking logistical and financial assistance from Washington for that. Syria’s main Kurdish parties have rejected the Turkish proposal for a “safe zone,” saying Ankara’s control of a 32-kilometer border area would endanger the Kurds. Erdogan warned that Ankara’s patience is waning over delays in the withdrawal of Kurdish fighters from the US-patrolled northern Syrian town of Manbij. “Our patience is not without its limits. If the terrorists in Manbij are not removed within weeks our waiting time will come to an end,” he warned. “In the same way, if at the east of the Euphrates, the people of the region are not allowed to establish self-rule with Turkey’s support, then our waiting time will come to an end,” Erdogan said. “In other words, we will have the right to bring about our own plans. ... No threat can deter us from our path, including (being placed on) a sanction list,” he said.